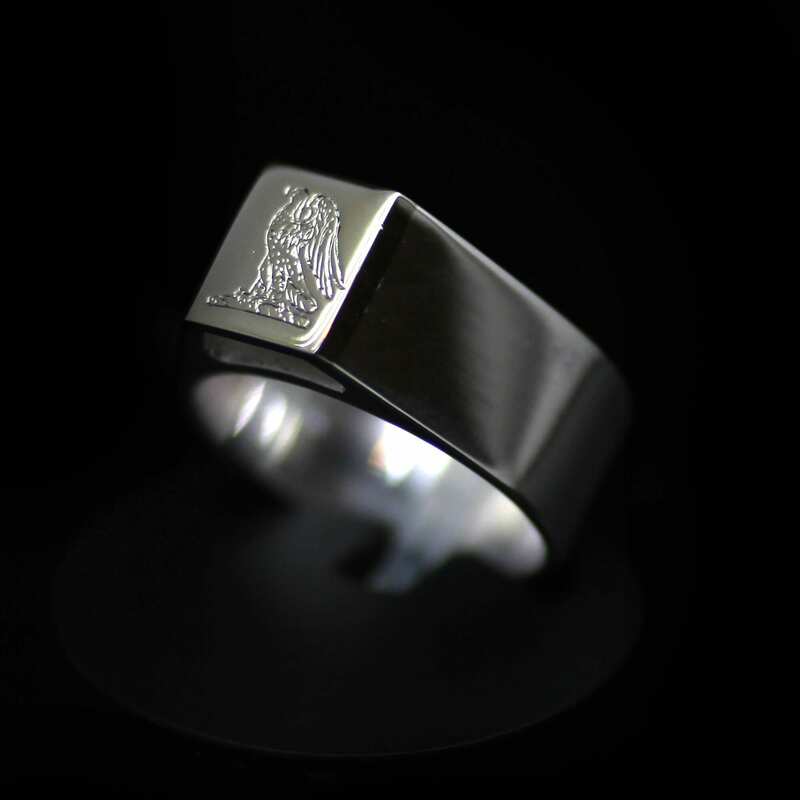 A glorious and truly bespoke creation by Julian Stephens Goldsmith crafted from Sterling Silver and 14ct White Gold to create a modern interpretation of the classic men’s signet ring. This smart and contemporary mens ring is created from a sleek, solid Sterling Silver shank and hand-setting an oblong of solid 14ct white gold which is expertly soldered in place as the centrepiece. This handsome ring is adorned with a hand engraved design featuring our client’s family crest and is lovingly finished with a carefully hand polished surface to complete the piece.